I have been sitting in front of my computer for the past one hour thinking of one resource I have that I would like to feature today. Alas! I cannot come up with only one- and hence here my friends is a list of resources every blogger especially a mom blogger should have. Every day sees numerous mom bloggers starting blogs mostly because they have been there done that and would want to share. However moms, you need to understand that content is king. When I started out in 2006, I could count the blogs that spoke about parenting and child care with my fingers. Now the number of mom blogs, parenting portals and childcare industry is booming with content and if you want that very special place you need extraordinary content. I know it is hard to come up with something new everyday and it is just comfortable to ask big brother Google to show some keywords and content related to it and rewrite them. You may be an expert re-writer, but believe me- you need to be original to actually shine above this huge cloud. I accept that there are more opportunities for a mom blogger these days. My sole earning when I started out was adsense, but today you have sponsored post opportunities, brand collaborations, social media influencing, affiliates and so on which pay a lot more than a regular job. However, moms you need to know that writing and consistently writing needs to come from inside. Starting a blog is a child’s lay these days. You can begin posting even from your mobile phone, but giving quality content consistently comes only if you have passion from inside. I would say – choose something withing the parenting niche which you know well, can write well and ofcourse are passionate about. Did I say ‘Time’! Oh yes, seems like I have come out with that word- isn’t time one of the most precious commodity for a mom. When you become a mom all you are concerned is about your child and his/her various requirements. Then comes the home management, your career and of course the personal care too. In all this if you need to be consistent you need to manage time. I personally use a scheduler ( oh did I tell you I get depressed because I do work worth a whole team and yet am not able to complete). I know friends who schedule a year ahead, but I can never come up with anything close to it. Of course each person has a zillion reasons to not be consistent – but believe me- as a blogger there is no one who would ask you why you have not written and no one particularly would miss you. Hence self discipline is the only quality that would save you and your blog. Today is Friendship Day and I would perish in hell if I do not mention all the support I get from friends around me. They say women always strive to pull other women down – but in my case it is the opposite – every help I have got had come from the women around me. If I write anything, produce anything or market anything – I get response immediately from my friends. They encourage me, help me in the logistics, provide me with unlimited support and guide me when needed. I would say if you are a mom blogger you need to have some friends who are bloggers too and would help you when you need. Having someone to discuss about blogging is real fun. I have already told you about the mushrooming mom bloggers around the globe especially India because many new moms either take a sabbatical or break from their career and the best thing to do seems like – Start a Blog. Do not be just another mom blogger – Be the one that no other is. Menaka Bharathi is a Mindful Parenting Consultant and an Organic food Producer. She markets Indian Superfoods throug SIM Organics which taken in small quantities would help to maintain the health of the family and boost resistance against diseases. Good tips – which apply to all bloggers. The most important for me has been time, and juggling all the roles I already do. The competition and the people can be brutal – hence, it is so important to weed them out too – I learnt this lesson the hard way, but soon enough. Not a mom, but have huge respect for them. Mom writers and mom-bloggers are super women– not sure where they find all the time and energy! True Anamika, uniqueness is the call of the day. So true for every bloggers, infact for every one who’s following their heart. Thank you Shailaja, it indeed means a lot to me to be praised by you. All extremely valid and valuable tips, Menaka. Without passion nothing can work. I complete ten years of blogging this month and the one thing that’s kept me going is my passion. Kudos to you for creating such a valuable site and resource. These are all very valid points not just for a mom blogger, but for every blogger out there. You speak my mind with this post Menaka. I see Mom blogs sprucing out everywhere and the content and the writing is almost similar that it is hard to differentiate which blog belongs to whom. Uniqueness is the call of the day. Good article Menaka. There are thousands of mom bloggers and uniqueness and quality makes a difference. 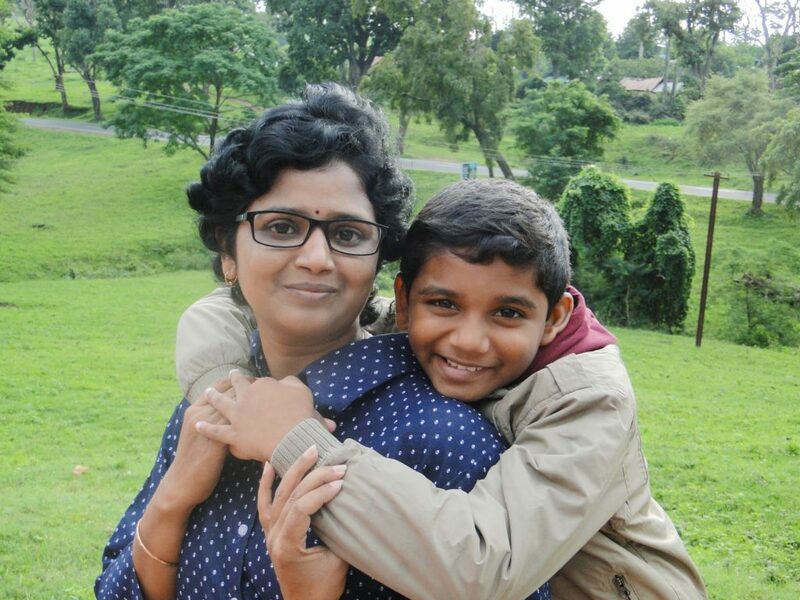 Menaka Bharathi a.k.a Simple Indian Mom is an Agricultural Microbiologist and Mindfulness Coach specializing in Indian Super Foods and Teaches Mindfulness to Pregnant women, Children and Moms. She Produces Indian Superfoods and markets them in her own brand SIM Organics.